What’s the hardest part about building a brand new Buildbox game? Coming up with a great idea of course. 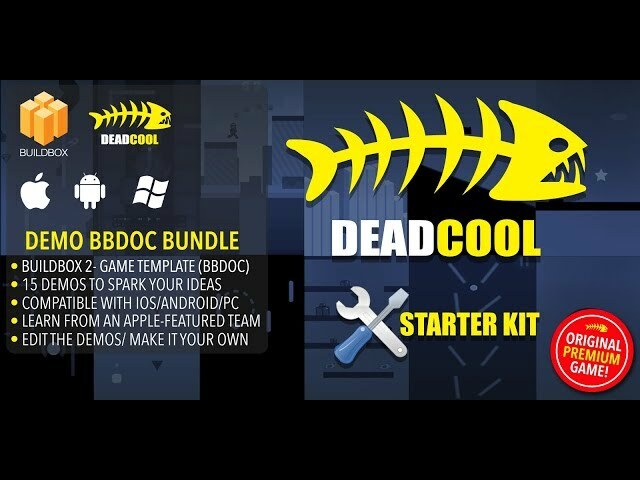 Well, we got you covered in this Demo Doc bundle. 15 unique demo ideas to get you started! This Buildbox document is a fully-made game, ready to be reskinned and shipped. It was built from scratch (you won’t find this as a preset inside of Buildbox!). It was tested and tweaked by the DeadCool Apps team for quality assurance. Tested and working in BuildBox 2.3.5. Our years of experience in demo creation and brainstorming can now be yours! All our products are original, hand crafted games you won’t find anywhere else apart from DeadCool. You will stand out from the crowd rather than blending in with every old reskin or clone. It pays to be original when making games! That’s why our games have been featured by Apple 17 times and counting!